Nature Studio’s approach draws upon the emerging scientific as well as creative understandings of how a carefully constructed landscape may promote a sense of well-being. Gardens may be created from a new site, from an existing garden or some elements may be used to enhance aspects of an existing garden. 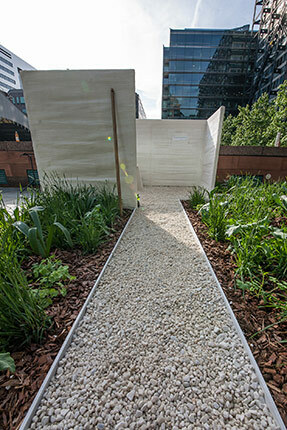 A participatory design service is offered where gardens are designed collectively with clients and their garden-users. We offer holding an initial telephone conversation to share your thinking about your garden, and we suggest we visit you on site for a pre-briefing meeting, which is an opportunity to discuss your aspirations and see our portfolio of work. Here is the link if you would like to know the design process we follow for making a landscape.